E-FAB (European Forum Against Blindness) marks World Sight Day with a call to prevent avoidable blindness which remains a significant problem in Europe. A new survey of over 5,000 people across five EU countries reveals a level of concern and perceived need for better vision care services. Read Without Glasses (RWOG) is a training method developed at the Cambridge Institute for Better Vision (Essex, MA), that claims to reduce or eliminate the need for reading glasses. RWOG allegedly enables presbyopic patients to sharpen their near vision through 6 minutes of daily exercises. Patients can purchase the instructional DVD and two reading charts that make up the RWOG programme online. Fluorescein strips, used in contact lenses fitting and to assess ocular health, have been considered and used as medical devices since their invention. Recently, confusion about its classification has caused significant supply problems in Europe. Non-binding guidance from Meddev suggests fluorescein strips be classified as medicinal devices, which greatly affects their manufacture and use in community eye care. Visually demanding computer work is often known to reinforce eye strain including glare and increased squinting. Given the limited number of studies on this topic, there is a need for further research to support this assessment. For this reason, an experiment has been undertaken in Norway by a team of researchers led by Hanne-Mari Schiotz Thorud to investigate the development of discomfort symptoms in relation to muscle activity and muscle blood flow in the orbicularis oculi muscle during computer work. The results have been published in the American Academy of Optometry journal “Optometry and Vision Science” in April 2012. Wearing goggles over contact lenses while swimming is often recommended by eye care professionals. However, limited data are available to assess this recommendation. For this reason a study has been carried out in Australia by the optometrists Yvonne T. Wu et al. to examine whether wearing goggles while swimming limits bacterial colonization on contact lenses and whether the type of lens worn affects contamination rates. The results have been published in the American Academy of Optometry journal “Optometry and Vision Science” in April 2011. 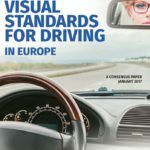 A report released today highlights substantial variation in the assessment of drivers’ vision across Europe, and recommends that the European Commission should act to harmonise assessment in EU Member States to the standards in the best performing countries. Mr. Duddek was elected by ECOO’s General Assembly on 24 October 2010 in Dresden together with a new Executive Committee. Both Mr. Duddek and the new Executive Committe have started their two-year term on 1 November. The European Council of Optometry and Optics (ECOO) have appointed Dr Ulrich Adam as its new Secretary General. A German national, Dr Adam (34) works for the public affairs consultancy Hill & Knowlton International in Brussels. The European body representing optometrists and opticians has today published the attached guide to eye exams by optometrists. It explains what the contents of a primary eye examination would normally be, depending on the patient’s clinical circumstances and the national regulatory framework within which the optometrist practises his or her profession. A new study suggests that prospective contact lens wearers will soon be offered more accurate predictions of the likelihood of success with their lenses. Comprehensive protection of the eyes against ultra violet radiation (UVR) requires not only a block in front of the cornea but also the sides of the eye, in particular the adjacent limbal and conjunctival stem cells of the eye. Thus, according to a new position paper commissioned and published by the European Council of Optometry and Optics (ECOO), UVR-blocking contact lenses that extend over the limbus and palisades of Vogt provide more complete protection. Similarly, sunglasses of a tight fitting wrap-around design, as opposed to small flat lenses mounted off the eye, offer the best protection, providing that they adhere to the highest standard of inherent UVR-blocker in their lens material. New research into the structure of the eye in people with Down’s syndrome has found significant differences from the norm. It is well known that people with Down’s syndrome are more likely to suffer from eye conditions such as amblyopia (lazy eye), near or long-sightedness, and an increased risk of cataracts. This research demonstrates that Down’s syndrome sufferers often have problems with both the lens of the eye and the cornea and, despite correction through the use of spectacles, often fail to achieve optimum visual acuity. 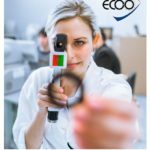 The European Council of Optometry and Optics (ECOO) calls for patients with Down’s syndrome and their carers to ensure that vision needs are regularly monitored. Over 158 million people in the world are effectively blind because they do not have the spectacles they need to correct their vision. The cost of this disability is enormous. A recent study published in the Bull World Health Organ claims that uncorrected refractive error results in a loss of economic productivity globally worth $427 billion. New research carried out by optometrists and psychologists in Australia shows that motorists suffering from cataracts are less able to spot potentially dangerous hazards on the roads.